Put piggy banks and paper money behind you! 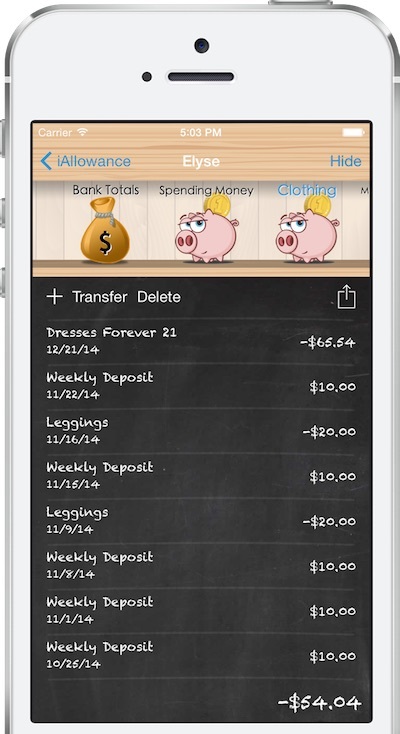 This is Piggy Bank 2.0! 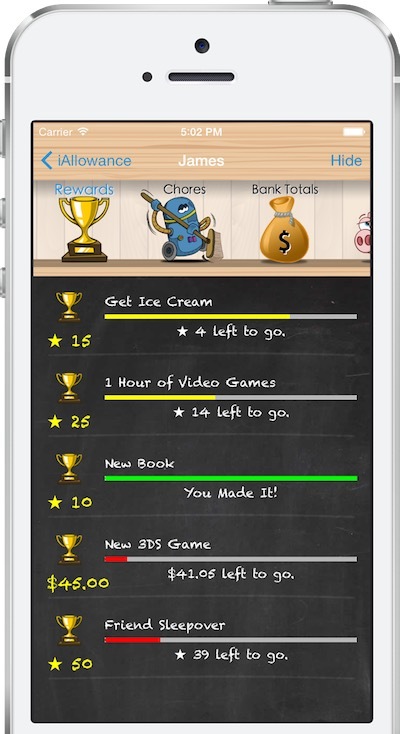 iAllowance is the only thing you need to manage your child's finances, chores and rewards. With over 15 million completed chores and over 10 million allowances paid, iAllowance is the app that savy parents trust to teach their children about earning, saving, and spending - while making their own lives a little easier. Track all your children's chores with iAllowance. Get your kids involved in the process and watch the chores get done! Use the reminders to push alerts to your kids - even if iAllowance isn't running. 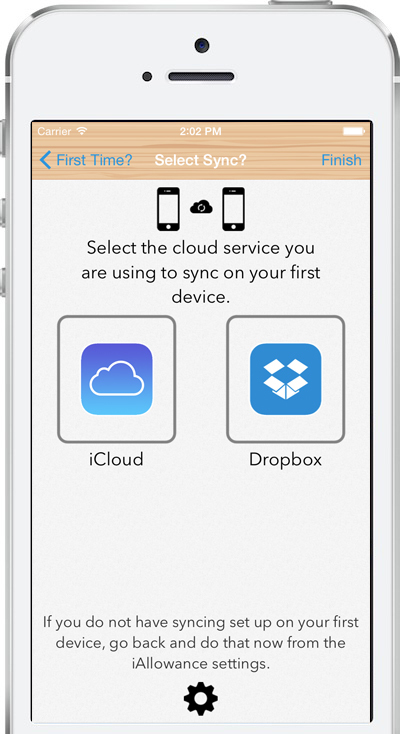 Print out or email chore charts directly to an AirPrint supported printer. Print out or email bank transaction reports. 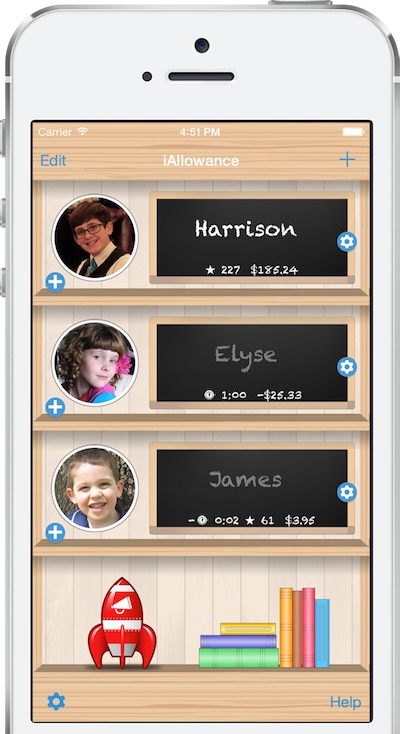 iAllowance lets you keep track of stars and time as well as money. Use the time banks to keep track of your child's screen or video game time. 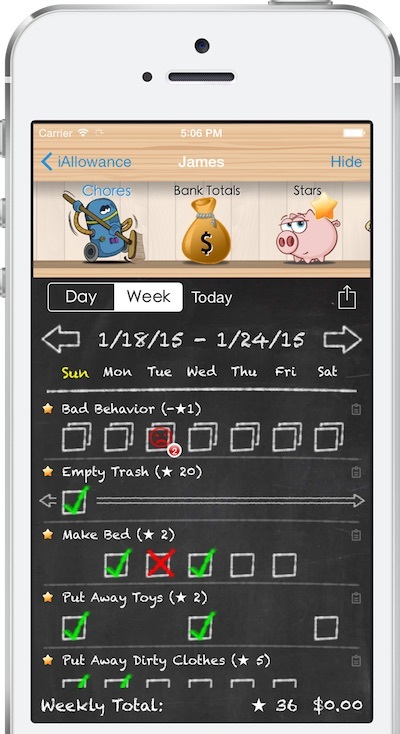 Use stars to track chores that are not linked to money payments. Use the built in conversion rates to transfer stars or time over to real money. iAllowance suports your currrency. Pick from over 150 world currencies for your banks. Feel free to mix and match currencies between banks. Enter your email in below to sign up for the iAllowance mailing list.